It is said that if you are aiming for greatness and glory, you would first be knocked down to rock bottom. You might agree or refute this idea in its subjective, philosophical and inspirational context but when it comes to being knocked down from a staircase, it would bring you no fame and glory; only some broken bones, bruises and of course, a lot of pain. Staircases, an essential part of many households’ basic architecture, can be quite dangerous if you aren’t paying attention, and have been a cause of many slips, trips and falls in the home. You can ensure this never happens again with stair cladding that has a wow factor that you can’t bear to take your eyes off! Stair Cladding is a wonderful thing. It will not only add beauty to your home interior but it will also make your staircases feel more solid and durable. Covering up a multitude of sins that traditional steps cannot, and staying clean at all times regardless of how many accidents the children have, this is a transformation worth investing in. Here’s how you can give your boring, old staircases a brand new look this season and the benefits of doing so! 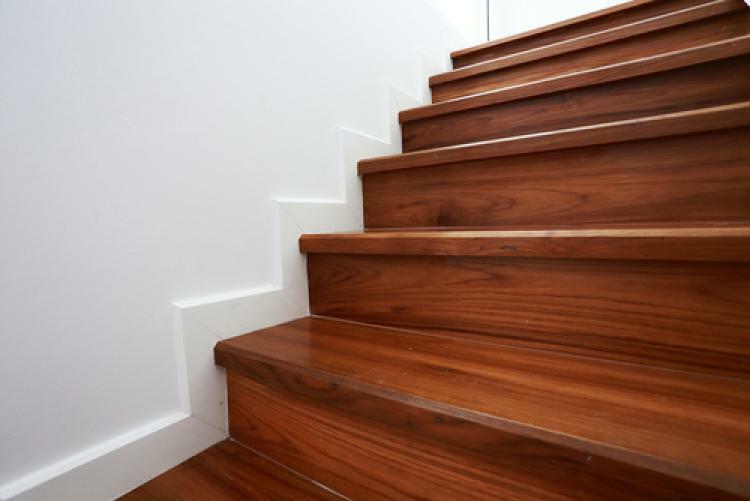 Stair cladding increases the life span of your staircases and prevents them from gradual damage, deterioration or erosion that might occur if the stairs are not properly maintained. What’s more, they wrap up your existing stairs in a safe, protective layer preventing any further damage over time. No matter what your décor or taste, this is a modern way to re-vamp your stairs. With a range of designs to choose from, your home can be uplifted with stair cladding that shouts “I am stylish, look at me!” or something more traditionally styled to accent your current colour scheme and overall aesthetic. It isn’t always possible to change the placement of you stairs without tearing your house to bits and rebuilding from the ground up, which means if you are thinking about giving your home a makeover, it needs to be aesthetic, not physical. Just like paint and wallpaper can transform the walls, and how carpet can completely change the visual appeal of a room, stair cladding is the same. Available in a variety of designs and colours, there will be an option to suit your tastes. What’s more, this addition to your staircase is not just stylish, it is also easy on the home renovation budget easy to replace – that is one economical DIY session. Want to know more? Please browse our range today or contact us on 01691 671020 today.